Well-beloved people deserve to feel at home anywhere. But how to achieve that? 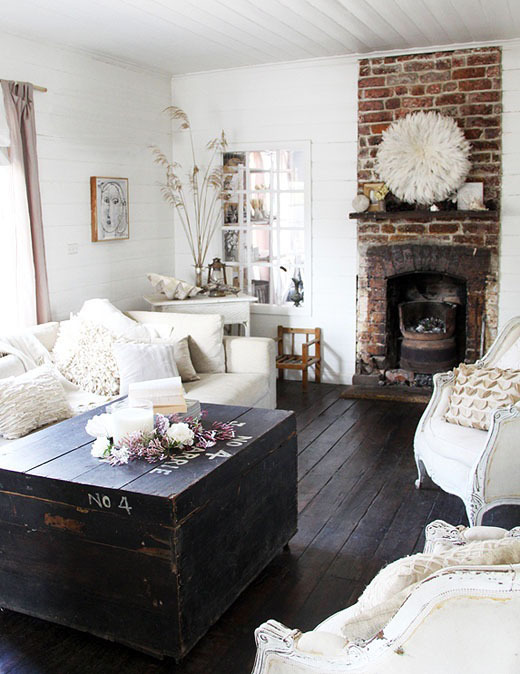 Well, certain rustic accents can bring enough adventures to fill the homey atmosphere. 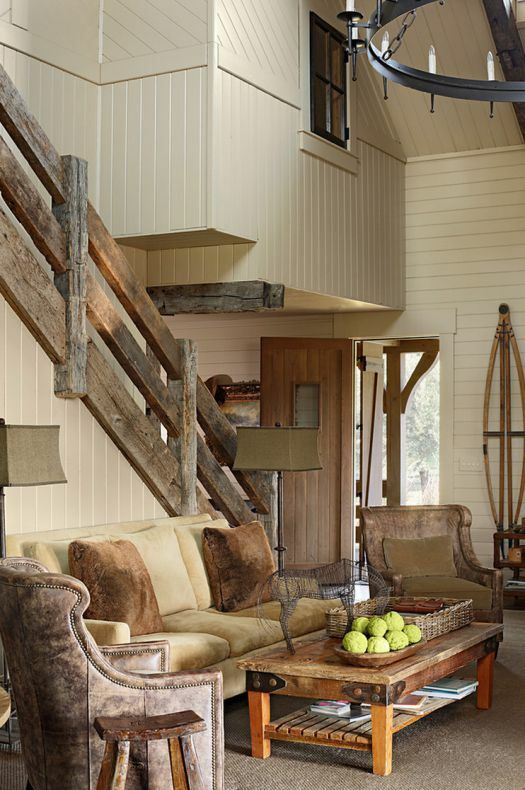 Rustic details tend to transform the innocence of a house into its maturity. If you wish to see the proof of the pudding prior your attempts to successfully re-design the interior of your home, keep reading. Maturity doesn’t equal lack of fun, humor or liveliness. Home design needs a change of course and freshness in perspective, just like anything else in life. Let’s take a stroll around these fifteen designs and see how they reflect your taste. 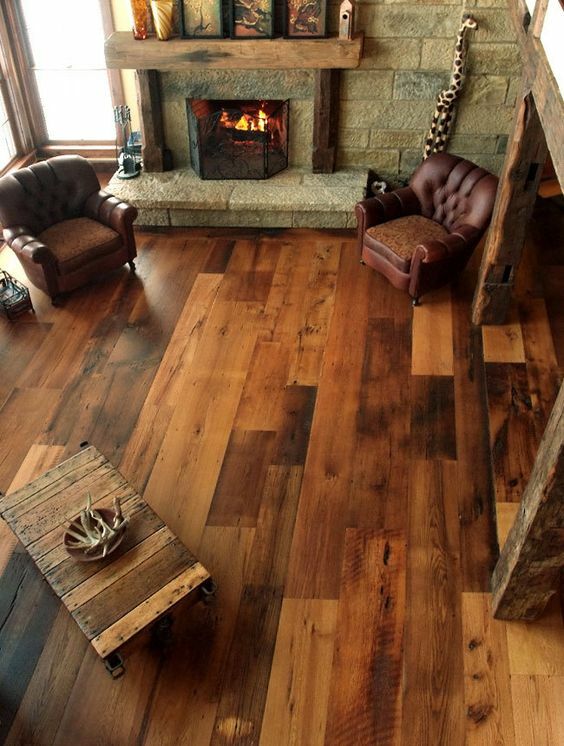 A few years ago, I noticed in a mountain lodge that the use of wood can be extended way beyond simple parquet floors. 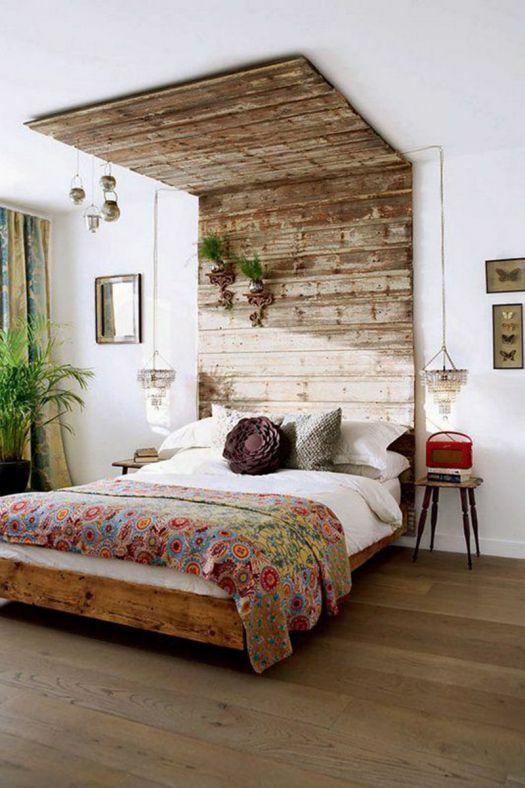 You can easily create rustic bedroom decor with old pallets. 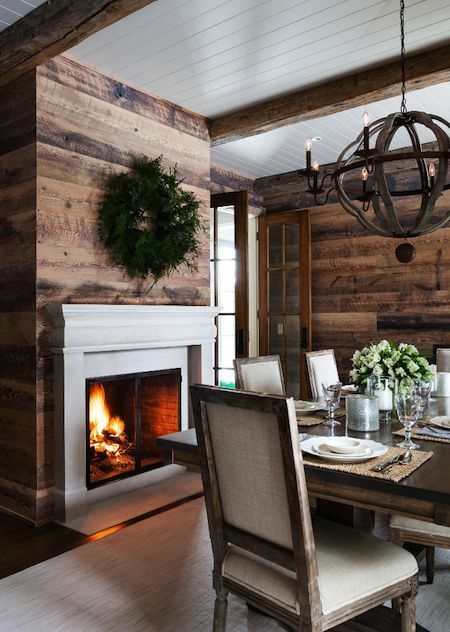 Especially true in this case – the wood sort of cultivates the room, it embraces it and makes it more charming. We keep simplicity as the main theme, but we are not frightened to experiment. Flattery is also a characteristic of design, my friend! If you feel like performing the roaring lion before you had your morning coffee, you tend to have a good taste for blends and you love coffee shops maybe it’s time for a new decoration. 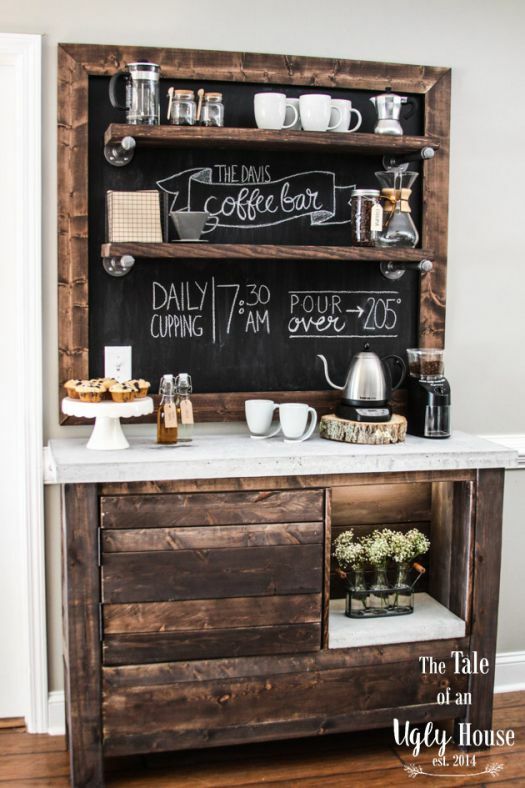 How about a personal Coffee bar at home? It is definitely possible, and this one happens to have the colors of coffee and milk. Pour me a cup, dear! There is interior that brings the best pieces of the authenticity of a house. 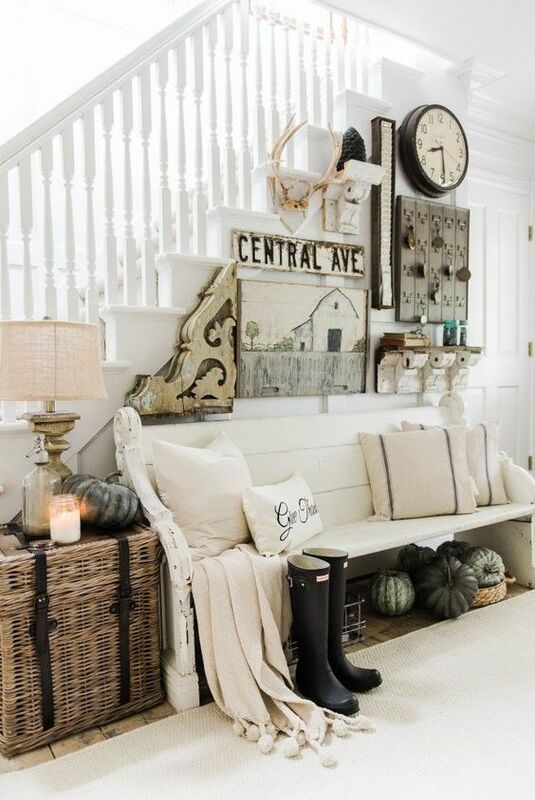 Let’s start with the pillows, the pumpkins, and blankets and finish off with the white staircase. Could it be warmer and more pleasant in here? Your favorite books and candle jars are adding their contribution to the ambiance. Play me some indie music and I’m in! Those that love winter ski trips or prefer to enjoy their cappuccino by the fireplace would feel at ease with this decoration. Personally, I love cozy armchairs and taking the time to read. I prefer flying sleighs over skiing as a form of transportation. While bloggers are mastering being cozy in fashionable ways, the lodge-like interior really brings us back where modern and retro meet (and love each other). Bring me home! But, where is your home? Well, in my sweet, sweet home I live, where we cherish each other and love decorative signs. Dear decorators, this is the perfect do-it-yourself project. 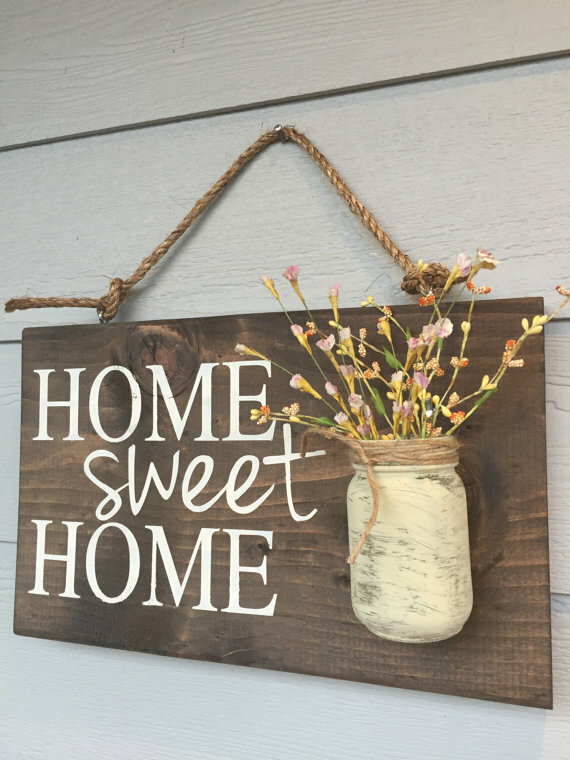 Greeting signs that bring humility and compliment your house are a lovely choice. Be eager to play and don’t hesitate to experiment – this is the best advice for choosing a sign. White interiors are best for gentle and wise people, that can appreciate spaciousness, that seek clarity and know the beauty of white is filled with more than meets the eye. 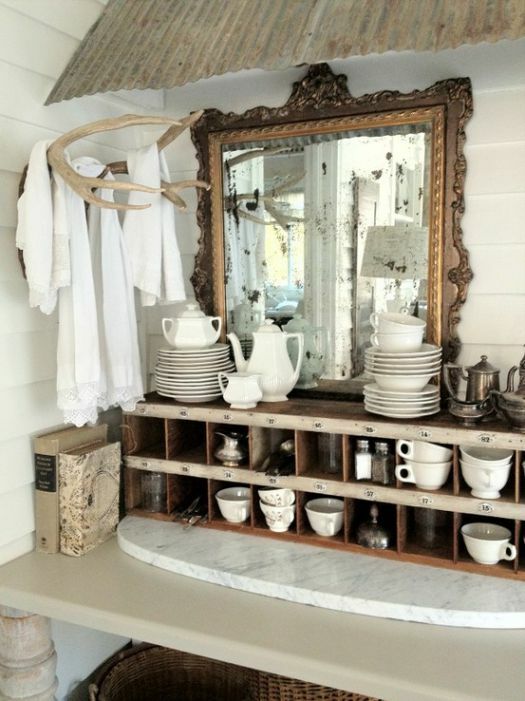 In this particular case, the white marble, the collection of books, cups and the rusty mirror can make you feel drawn to this piece of decor. It is sleek, stylish and memorable. There is a certain movement in this room, although the atmosphere remains still. It is as if there is a dance between the pieces of furniture and the decorative features. You can glimpse at it and feel the liveliness, the personal touch of the owner. You see that the pieces come together artistically, the designer didn’t seek boring perfection, but simple inspiration. While in design this is a little bit more retro for some than they would like, the parquet floors and the color of the brown coffee beans still brings warmth to this home. There is a beautiful balance between the brown floor and the white ceiling. The number of chairs and the how the kitchen plotter has been installed speaks of a friendly gathering and late night dinners. 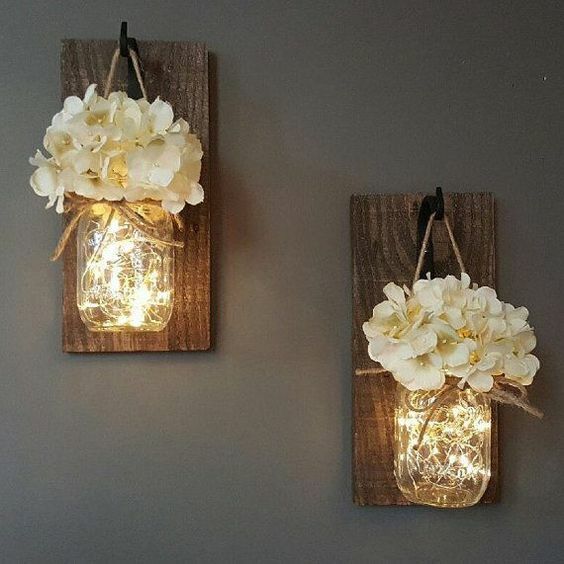 Light, flowers, and jars have been friends for a long time in landscaping and home decor. They are perfectly gentle pieces that bring a little romanticism to the look of a home and also speak highly of his owner. In this case, we can see that the jars have been used to stack inside some light strings. 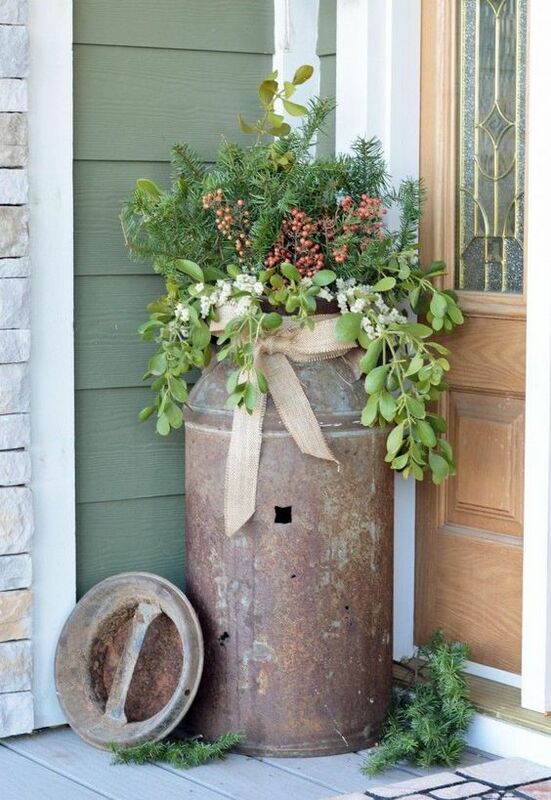 This is a lovely example of how you can take typical object everybody likes and create a new decoration. The thing about mirrors with decoration is that they have become so multifunctional that they can play a dramatic role quite easily nowadays. 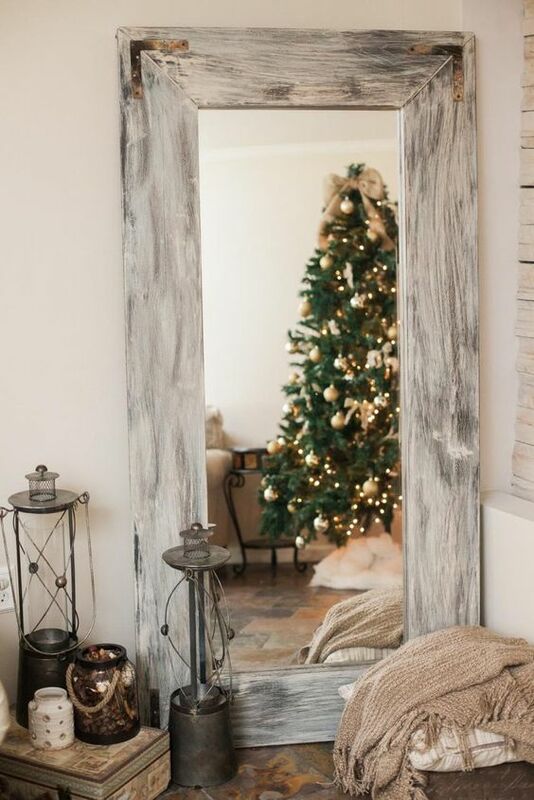 I love this example because the long rectangular mirror reaches the floor and you can take a full look. You can easily stack scarves, blankets, jars or lanterns and make a corner of your house so cozy. The special warmth comes also from the lights on the tree. The front porch is a good spot to play with any old vase, base, huge pot or items that we normally keep in the garage. The good news is that they can have their purpose as well, all you need is some flowers or green branches to make a pot come to life. You can also use decorative flowers, ribbons and anything inexpensive, that you feel like seeing every day when you arrive at home. 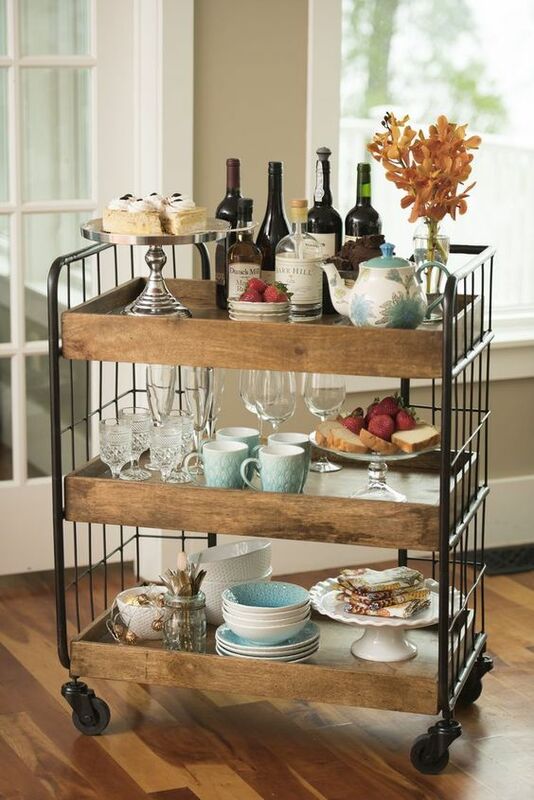 Cocktail and coffee carts at home are magic because they are great additions for any decorator. Feel free to buy a cart and style your home. You can easily place cocktail glasses, mugs, jars full of jam or your favorite liqueurs. Serving trays, all sorts of sweets or delicious appetizers can find their place on the tray as well. I find that these carts are usually warming up the atmosphere quickly. Our lucky number thirteen is another mature, beautiful and stylish example of a warm house. I often tend to underestimate the classic look sometimes, but this house proves that practicality and style are friends as well. These chairs are comfortable and the fireplace has been installed near the table, so you will definitely feel comfortable with your friends and family. 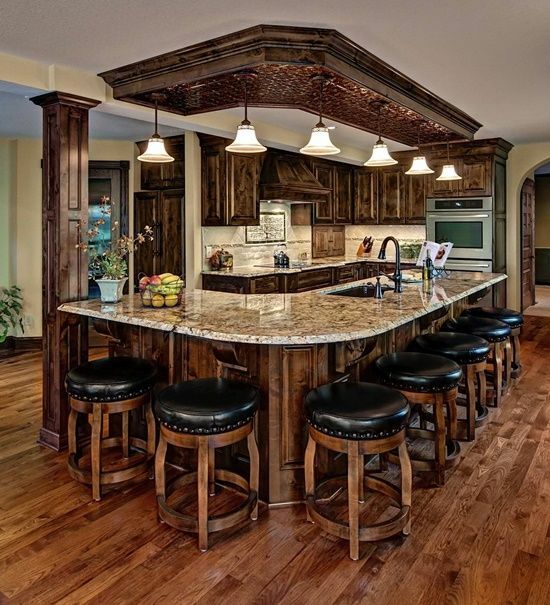 For houses with a lot of natural light, brown elements are a good choice that balances the interior. Living room interior choices vary from people to people and from a designer magazine to another designer magazine. However, this option is something worth considering before renovation or when you are furnishing a home. I find that simple decisions are the often the smartest ones. Leaving the living room floor clean of objects and unnecessary furnishing leaves room to dance, walk around and think. No, I can’t get tired of inspirational signs. The only advice here is: rotate them as much as possible. 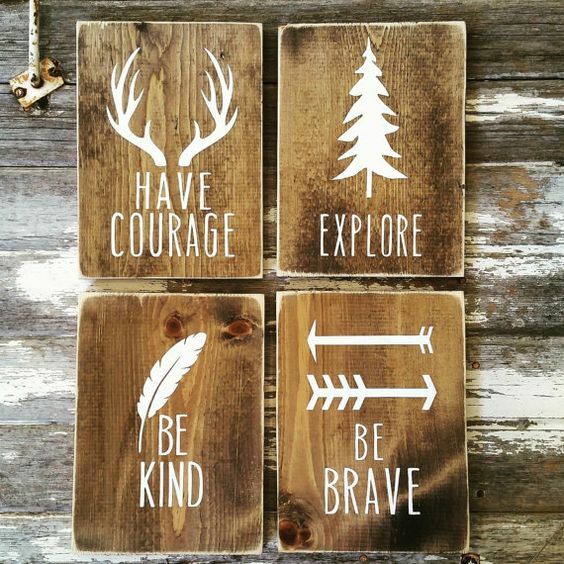 If you have some artistic skills, you can easily make your own inspirational signs with favorite quotes. All you need is some wood, white paint and a good brush from the nearby bookstore. Lacquer the surface, so that you can protect the wood and remember that this also makes for a great present!